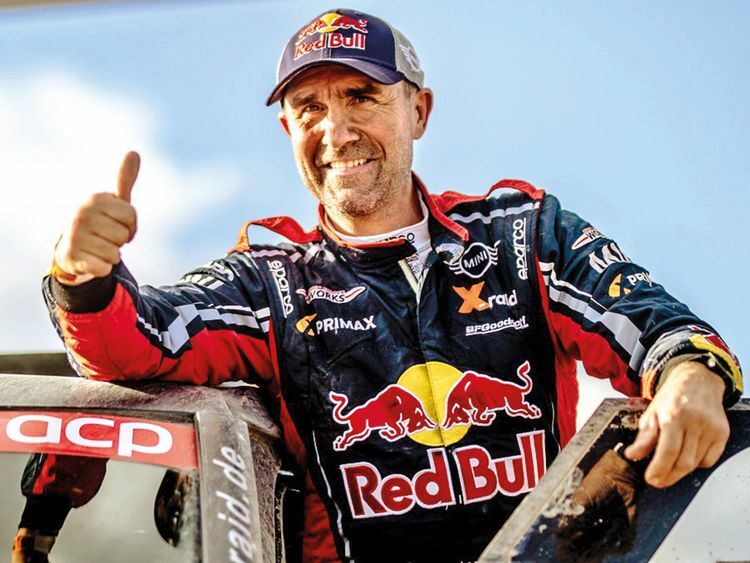 Abu Dhabi: Stephane Peterhansel, the most successful competitor in the history of cross country rallying, will take his place in a star-studded line-up for the 29th edition of the Abu Dhabi Desert Challenge. Driving an X-raid Mini John Cooper Works buggy the Frenchman, who has won the event five times as a driver and once as a rider, will be partnered by his wife, Andrea, who has previously finished the rally on two and four wheels and returns as a navigator for the first time. They are among 119 competitors from 34 countries in the official entry list issued today by the Automobile and Touring Club of the UAE (ATCUAE), the rally organisers, who are now busily preparing for the start on Saturday at Yas Marina Circuit, the event’s official HQ. Around 80 cars, buggies, bikes and quads will set off for five desert stages across the giant dunes and sabka plains of the Al Dafrah Region.